Asheville Photo booth rental services for weddings, parties, and corporate events in North Carolina. 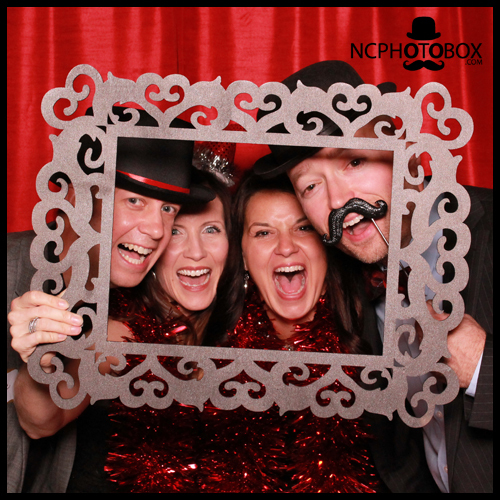 NC PhotoBox was designed and custom fabricated from the ground up to deliver the ultimate value in a portable photo booth. Our PhotoBox is an open air, high resolution, instant photo booth. Within seconds after taking your pictures you have a classic, lab quality, pre-cut, photo strip printed out and in your hands. We offer booth rental with tons of free additions like real-time printable, pre-cut photostrips, customized branding, a USB drive with all of your guests pictures, and free online photo sharing galleries (Want your event gallery password protected? No problem). With our photo sharing galleries you can view, share with friends, and order custom photo books, canvas wraps, key chains, and more! Browse our Photo Booth PACKAGES to see how our PhotoBox can be custom fit for your event. For real time sharing, you have the option to project your images in a slideshow at your event. With our open air booth, the backdrop options are endless. From our most popular backdrop, Asheville natural landscapes (open), our red carpet and velvet ropes, to our stop and repeat backdrops are also a great option for branding your event. Whether social, celebratory, or corporate, our backdrops are customizable to your taste.